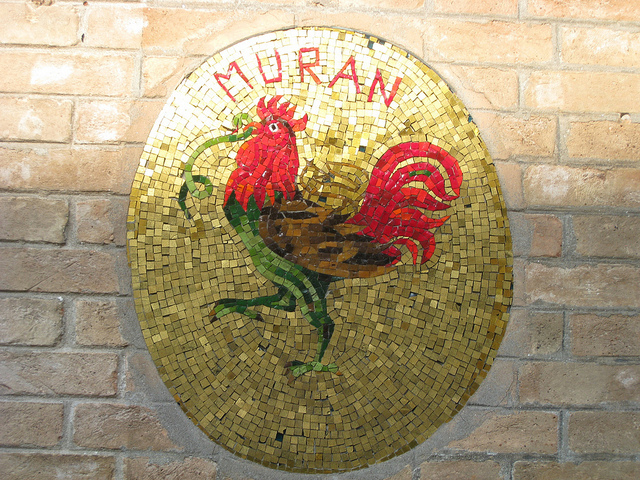 Murano glassmaking history is filled with extraordinary stories of success and innovation. While some glass masters’ stories may be more recent than others, they have all been characterized by clever inventiveness and dazzling dexterity. 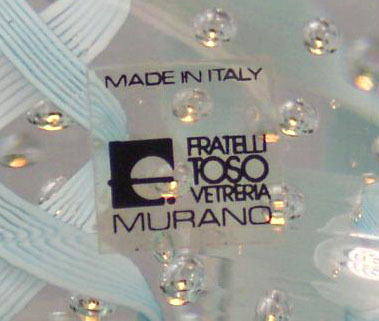 Among the most famous families of glass masters in Murano we find Fratelli Toso, with over 150 years of experience in the field. Theirs is a story of true Italian innovation and solid family bonds that have endured some of the industry’s most challenging times, proving to be tougher and stronger with the passing of time. In a period of doom and detriment that damaged Venice and its surrounding islands, the Toso represented Murano’s spark of hope after Napoleon’s fatal occupation. It was the end of the 18th century, and Murano glass furnaces started to close, while some artisans preferred to simply flee the island. During this period of darkness and gloom, Murano’s ancient glassmaking techniques and traditions were gradually forgotten. Nonetheless, the Toso’s first steps in the glassmaking industry represented a confident recovery for Murano and its factories. This entry was posted in Murano Glass History, Murano Glass Masters and tagged Fratelli Toso, Murano Glass masters, Toso Murano Glass on February 26, 2016 by GlassOfVenice. With famous admiration for the beautiful Venetian island of Murano and an ongoing interest for innovation, the Salviati family have traced their own and quite important path in the history of Murano glassmakers. It has never been said that in order to belong to Murano’s coveted family of glass artists one needs to be born into one, and Salviati has proven this to be right. With a past in mosaic production and an incomparable sense of pioneering, this family brought a twist to the established rules and traditions of the glassmaking industry. This entry was posted in Murano Glass History, Murano Glass Masters and tagged history of murano glass, Murano Glass History, Murano Glass masters on January 22, 2016 by GlassOfVenice. Weaving together almost one hundred years of tradition and a unique sensitivity, the Gino Cenedese & Son glassworks is one of Murano’s finest and oldest glass companies. With a vocation for excellence and the love for traditional craftsmanship, the glass masters of this furnace have interpreted Venetian history through color and form, accomplishing global acclaim. 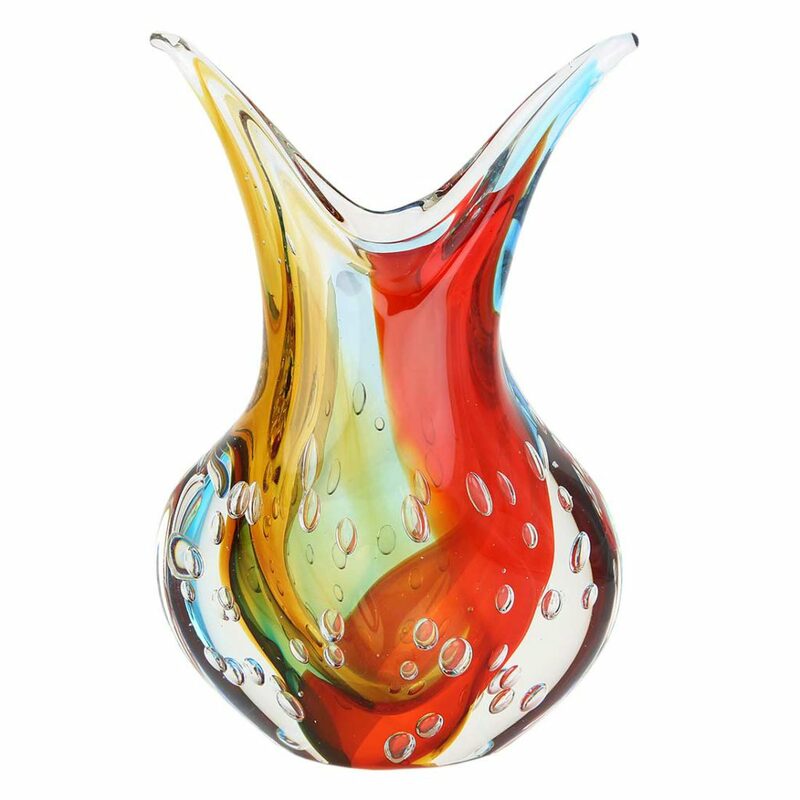 The Cenedese Murano Glass is world-famous not only because of their indisputable quality and talent, but also because out of many Murano Glass companies, this is probably the one with the widest range of collections and variations. The story of Cenedese fame begins in 1916 with a small 9-year-old boy, Gino Cenedese, who learned the most essential glassmaking techniques from different masters around Murano. By the end of the second World War in 1946, he founded the Gino Cenedese & C. glassworks, which immediately gained international recognition thanks to the high quality and refined style engraved in every piece. Although Cenedese opened this glass factory with important partners by his side (Angelo Tosi, Alfredo Barbini, Gino Fort and Pietro Scaramal), he was left as its sole owner by 1949, taking the factory through the twentieth century with vision and commitment. This entry was posted in Murano Glass History, Murano Glass Masters and tagged Cenedese Murano, Gino Cenedese, Napoleone Martinuzzi on December 10, 2015 by GlassOfVenice. 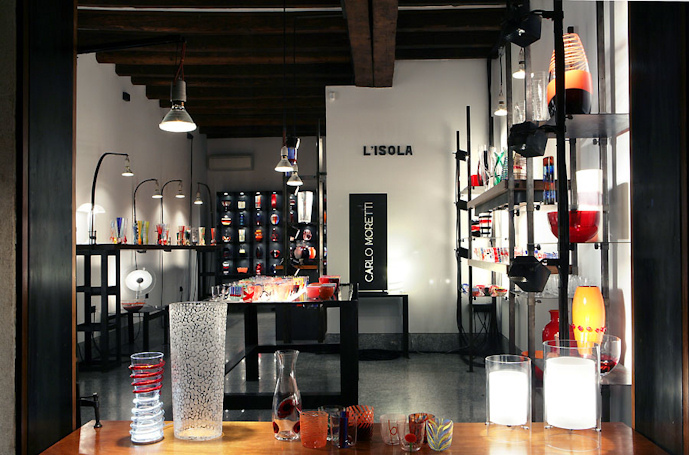 Barovier name is synonymous with Murano Glass. Over the centuries various members of Barovier family have been leaders, innovators, and vigorous promoters of Murano Glass art. 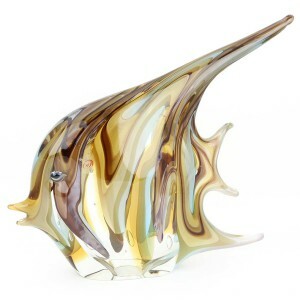 Barovier & Toso is an Italian glass-making company, one of Murano’s most ancient families in the craft, and yet one whose style transcends time and whose quality has been consistently held in high regard for centuries. Nominated as the world’s longest established family of glass workers, and one of the world’s oldest continuously operating family businesses, for almost a thousand years Barovier’s family business has maintained keen interest in culture, constant innovation and drive for perfection. This entry was posted in Murano Glass History, Murano Glass Masters and tagged Murano Glass History, Murano glass making, Murano Glass masters on September 2, 2015 by GlassOfVenice. Nothing ever seems real in Venice: its beauty, its history, its art. That same feeling expands all the way over to the Island of Murano, a small island near Venice, easily reachable by vaporetto. Murano is just as rich in beauty and art; it offers the warmth and cheer one usually expects to find in small Italian towns. This island, however, possesses a very special spot that sets the place apart: Fondamenta Giustinian 8, Murano’s Glass Museum. The palace, Palazzo Giustinian, originally built in Gothic style, was used as a residence for the bishops of Torcello, and was later acquired by the Bishop Marco Giustinian in 1659. The bishop brought many changes to the property, refurnishing and redecorating it with rich frescoes and paintings by Francesco Zugno and Francesco Zanchi. The museum’s biggest treasure is its vast Murano Glass collection that keeps expanding thanks to constant addition of contemporary pieces. Gathering such a unique collection in one place would not have been possible without the initiative of Antonio Colleoni, then the mayor of Murano. Working together with Abbot Zanetti, Murano Glass and art enthusiast, they set out to gather and systematize Murano Glass archives detailing the history of the craft through the ages. 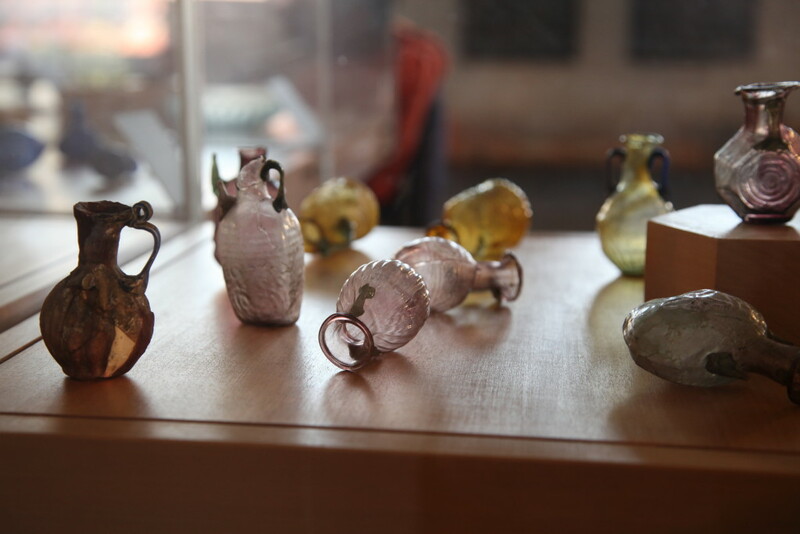 In 1861 Colleoni opened the palace’s doors as a glass museum for the first time in 1861. It was in the grand salon where it all started – the history, the archive, the unveiling of this long forgotten art – later expanding to every room in the museum. This entry was posted in Murano Glass History, Murano Island and tagged Murano Glass History, Murano Glass masters on July 31, 2015 by GlassOfVenice.